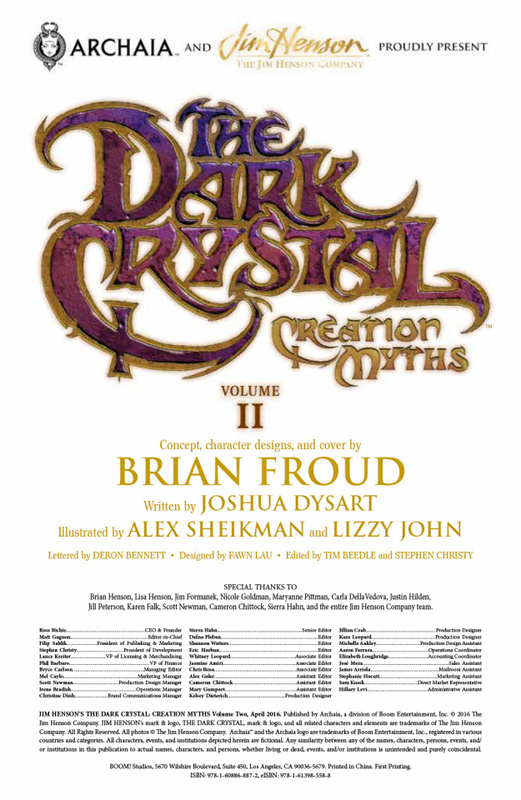 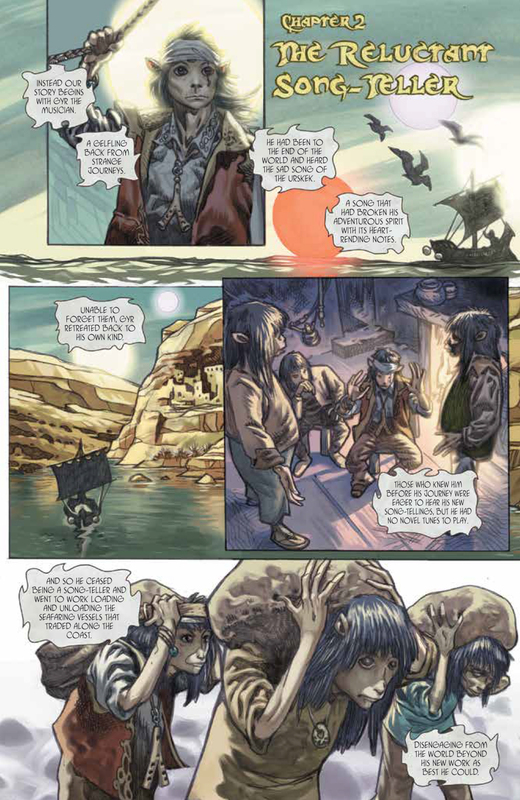 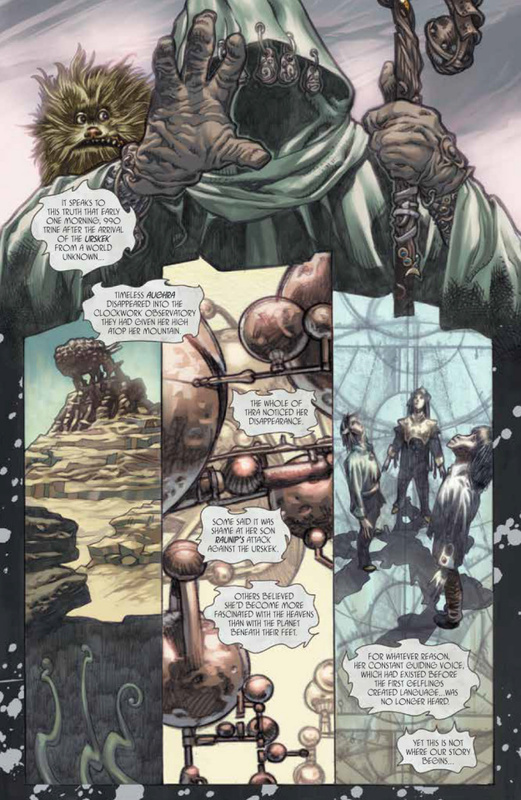 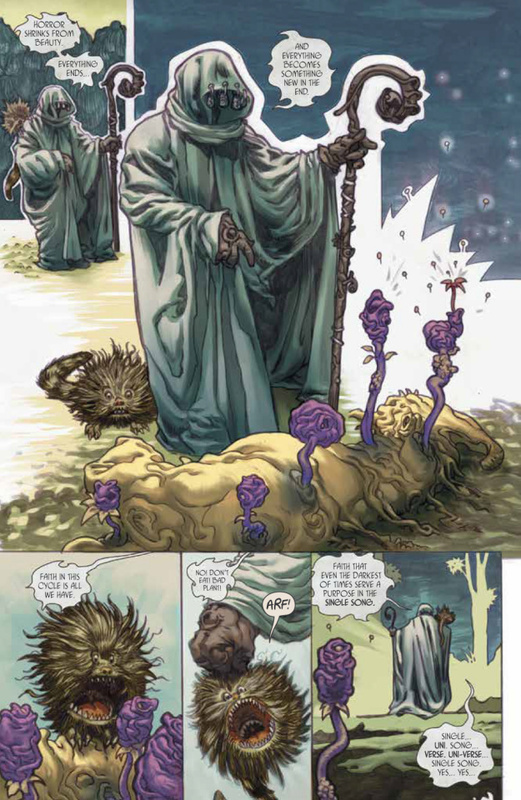 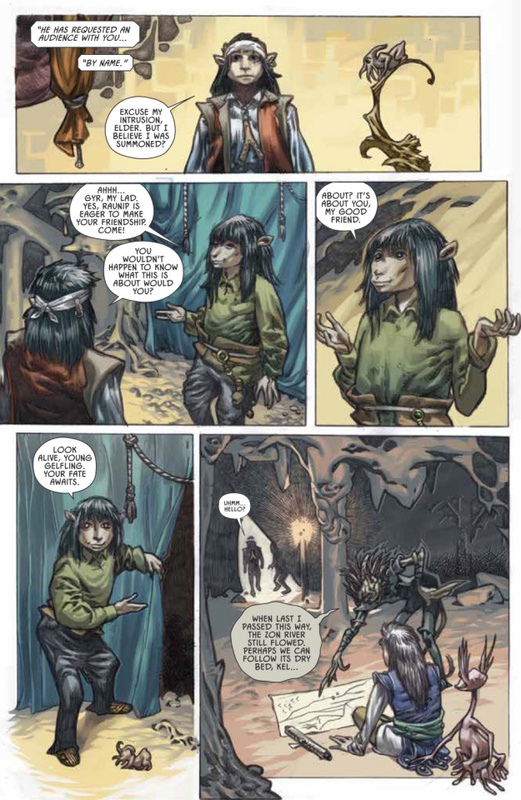 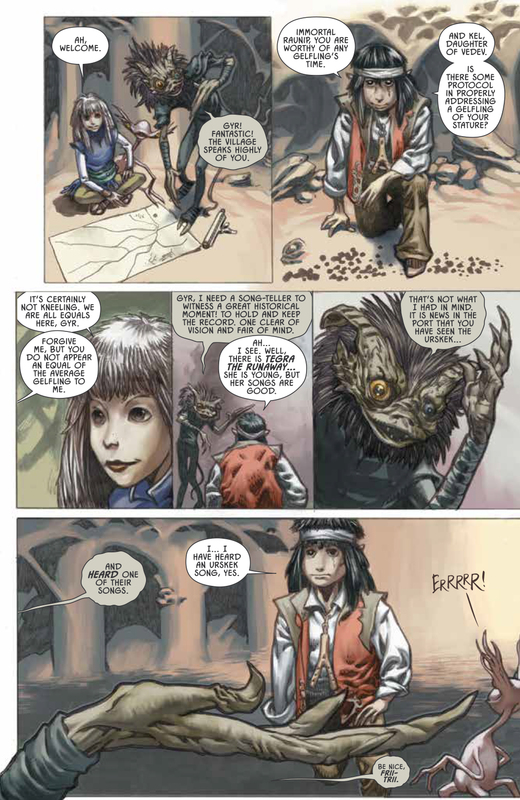 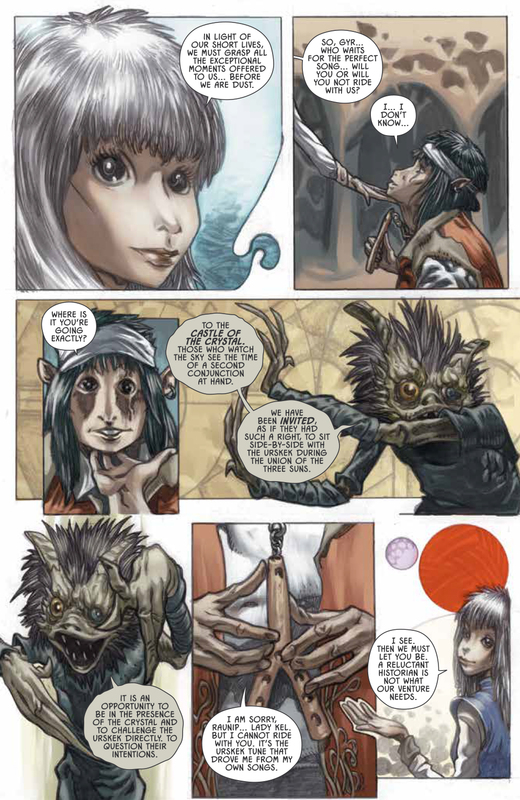 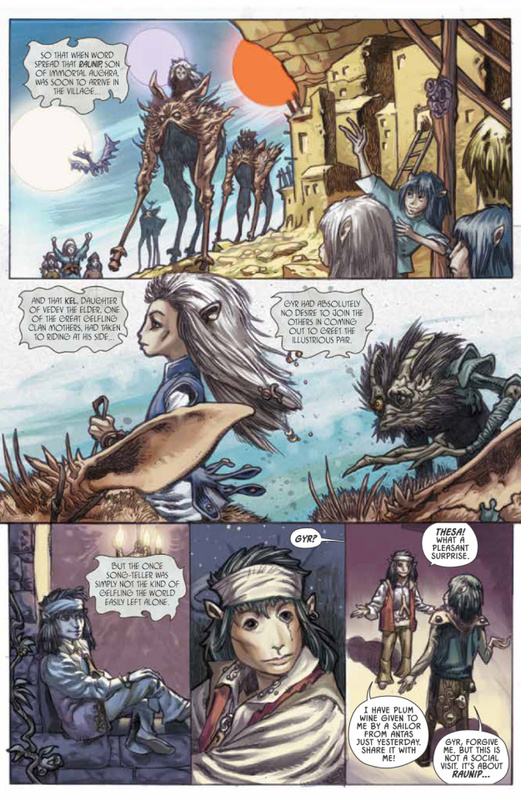 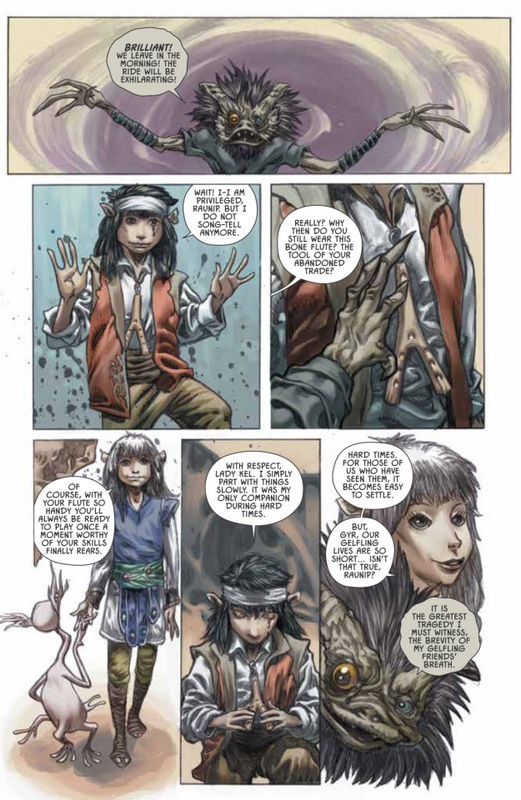 Synopsis: The Great Conjunction is at hand in this dramatic second volume of a trilogy of prequel graphic novels that tell the origin of The Dark Crystal. 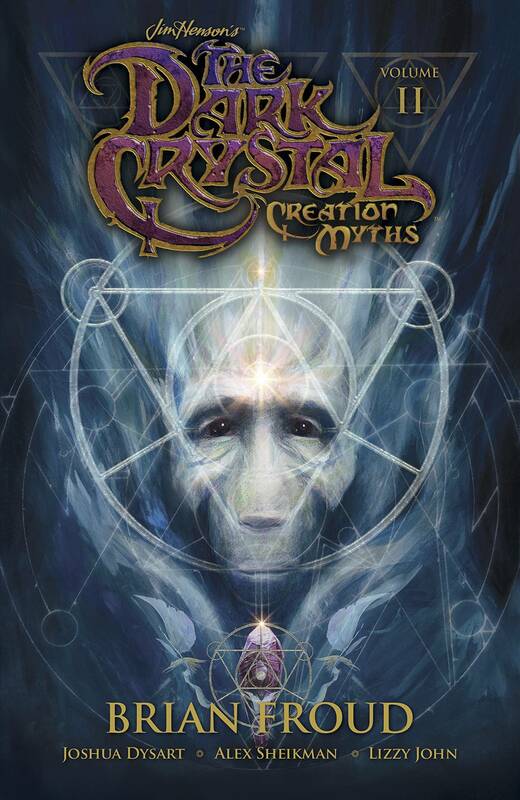 Aughra, the beloved guardian of Thra, has gone into hiding, while her son, Raunip, leads a team of emissaries to the Crystal Castle. There they will bear witness as the visiting Urskeks attempt to use the Conjunction to power their voyage home. 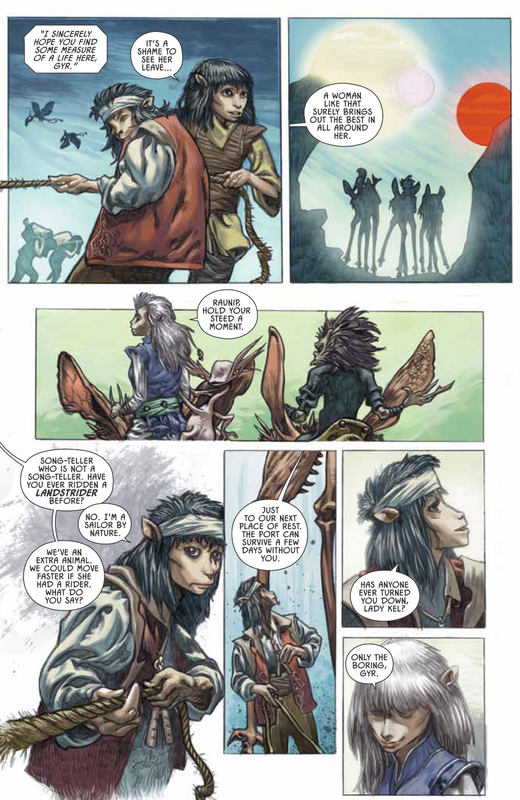 But pain and mistrust fostered by the group leads to events that will corrupt the world to its very core and transform the Urskeks into two distinct races: the gentle urRu and the terrifying Skeksis. 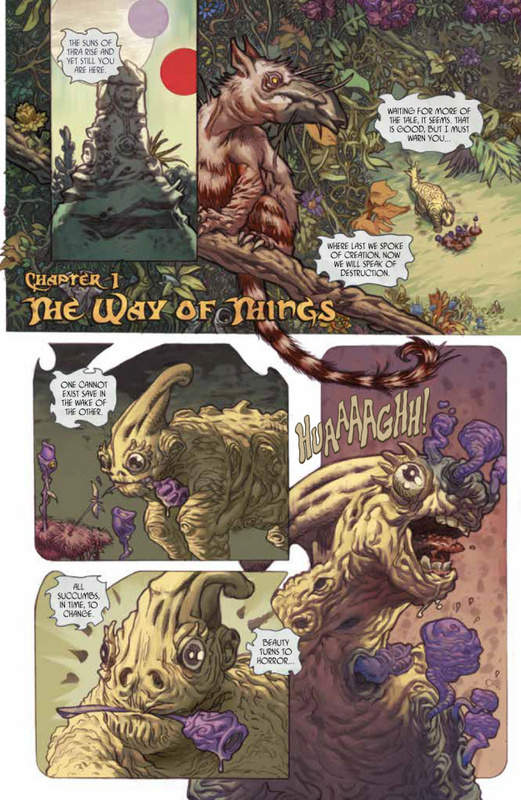 Now in paperback for the first time.